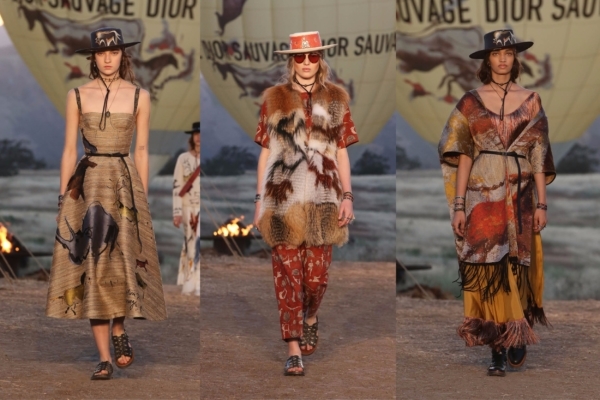 Inspired by the desert landscape and a striking Californian vibe, artistic director Maria Grazia Chiuri presented her first cruise collection for Dior. Artists such as Georgia O’Keeffe and Vicki Noble played muse to the collection that was replete with handcrafted details, from fur and shearling to feathers and fringes in rich desert colours. Dior’s connection with California goes back to the days of Monsieur Dior who visited San Francisco in 1947. His Ovale collection of 1951 was influenced by the Lascaux cave paintings known to be over 20,000 years old. Chiuri revisited the idea and the inspiration to create her own range of primitive prints derived from etchings in these caves and the results instantly clicked with our modern tastes. After her famous ‘We should all be feminists’ t-shirts, she continues to celebrate the feminist spirit. There were tarot card sketches on day coats by Vicki Noble — a shamanic healer and author, known for Motherpeace Tarot (a feminist-inspired deck of tarot cards, in which most of the figures are female). As a nod to O’Keeffe, models wore flat-brimmed parson’s hats. Brocade bustier dresses with animal etchings, suede fringed Bar jackets over full skirts and rugged hiking boots ingeniously embraced the Californian cool of 2017. Chunky fringed knit cardigans featuring human figures, colourful feathered dresses, robes in earthy hues, leather shirts and jackets over embroidered tulle skirts, a rainbow patchwork dress, embroidered denim and fur vests took us into a surreal world. Emerging from a confluence of ideas, eras, and personas, the Dior atelier presented an impressive lineup of 60 plus looks. 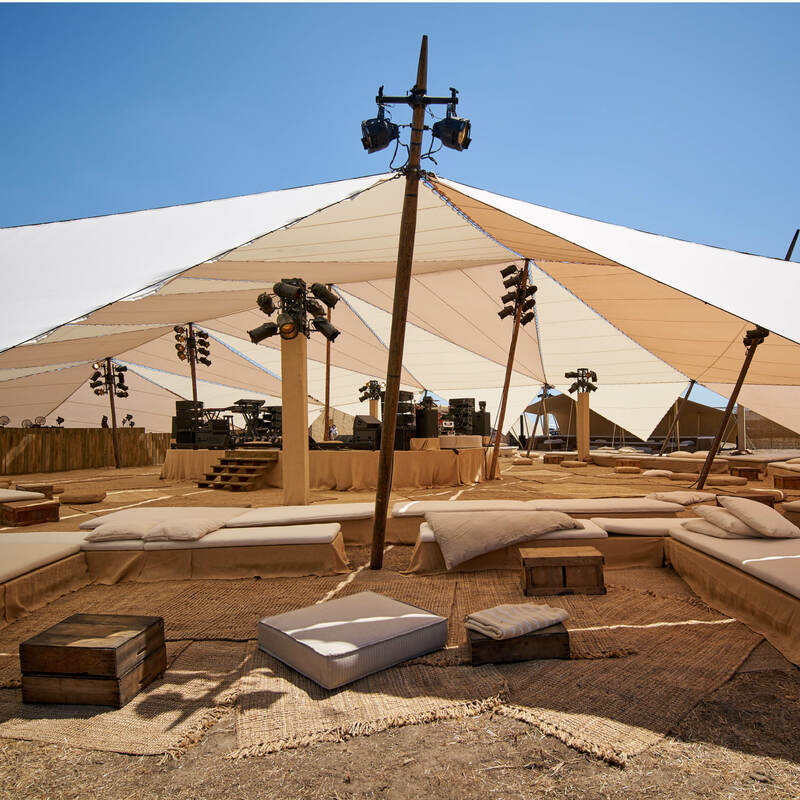 The show not only left the fans with myriad options ranging from street wear to evening wear but unveiled another side of LA, one that is far from the glamour of Hollywood.